Editor’s Note: My name is Marilyn Moll, and many of you know me as the founder and former owner of The Urban Homemaker. Since I sold the business in 2011, I work as a caregiver. I am still mother to three, grandmother to three grandsons, a widow since 2008, semi-retired and now age 66. I was sick and tired, mentally and physically of eliminating a food for temporary health improvement but not a real cure. Each of the chapters, all readable yet challenging the status quo of conventional nutritional information, kept me reading all the way to the end during this past cold and blustery February in Colorado. Saturday, April 8, I had determined I would read how to use my brand new Walmart purchased glucose monitor, Relion brand, and start recording my results. Since my past fasting blood sugar levels for the last 8 years at the doctor’s office has been around 120, I was expecting a similar reading. No, my first reading was 154. Wow, that is quite an alarming jump in the last 9 months I fumed. I chalked that high reading off to my inexperience of using the monitor and the fact I drank a little beet kvass minutes before the test. I have been monitoring the fasting blood sugar every morning for about three weeks and think my lowest reading was 118 and the highest 163. It was not looking promising that I would be close to being below 100 according to this history. So, I started eliminating junk food, and making healthier choices. I doubled my exercise from the winter doldrums of 2-3 walks a week to 5-6 walks a week at twice the distance. I didn’t loose a pound, my blood sugar showed no positive change in the morning fasting category either. Long story short, it was time to see the family doctor who reluctantly agreed to order the A1C test. He just didn’t think there was a reason to based on the history held within my health records. But considering my dad was diagnosed with Type 2 Diabetes late in life, I never knew this till 5-10 years before his death at age 92, the test was ordered. The A1C test is a blood test that provides information about a person’s average levels of blood glucose, also called blood sugar, over the past 3 months. It’s considered to be a reliable measure for diagnosing Type 1 and Type 2 Diabetes. A day later , the A1C test results number was 6.4 on the A1C scale indicating “pre-Diabetes”. My doctor recommended that I follow through with an appointment with a nutritionist and increased exercise and see me back in August. Last Friday, May 12, I met with Maria Hodkins, a certified Nutritional Therapist living in my small Western Colorado community, who spent over two hours, discussing my health and dietary history with a fine tooth comb. I started the consultation with and came home with a splitting headache and muscle aches and pains. Later that Evening, I realized I am starting a new chapter of my life! For some readers it will be an opportunity to catch up with The Urban Homemaker Founder and Marilyn Moll, mom, home educator and real foods cook. Editors Note: This is Part 1 of my new, ongoing series on Marilyn’s Journey to Really Master the Real Foods Diet (Part 1)and reverse the curse of Type 2 Diabetes. I have much more to say and will be posting my updates, insights, challenges, progress reports, recipes, and more during the upcoming weeks as I expect to reverse this diagnosis given enough time and determination. In the meantime, I welcome your questions, comments, recipes, and testimonies. 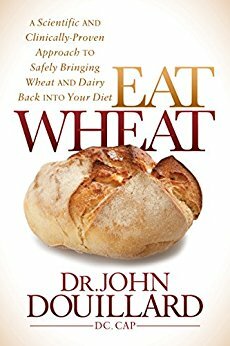 2 comments to Eat Wheat? I am so glad to see you posting again. I am looking forward to this series.